When I say this recipe is easy, I am not exaggerating. Once everything is cooked, it takes just a couple of minutes to go from stove to table. If you cook the sweet potatoes in advance when you know it’ll be a busy week, you can fix these in about 10 minutes. If you haven’t pre-cooked the sweet potatoes, poke holes in the potatoes with a fork and put them on a foil-lined cookie sheet. Bake them in the oven for 45 minutes to an hour at 375 degrees. If you’re in a hurry, you can boil them, but the potatoes will lose some nutrients that way. The long cooking time for this recipe only comes from baking the sweet potatoes. Next, cook the corn. I realize corn is mostly GMO now, but I’m from the Midwest. 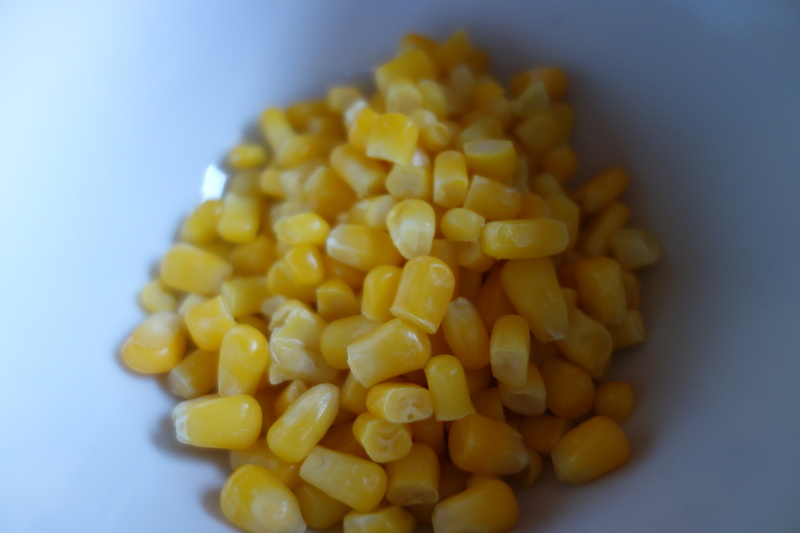 I just really like corn. Forgive me. Heat the black beans in a saucepan and set them aside when they’re hot. 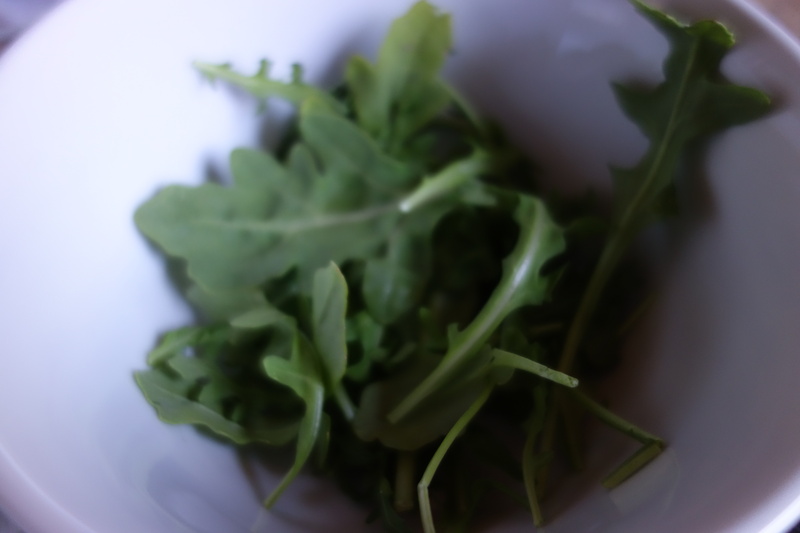 Measure out the arugula and set it aside. Alternatively, you can use a different leafy green veggie if you’d like. As you can tell by now, I’m partial to arugula. 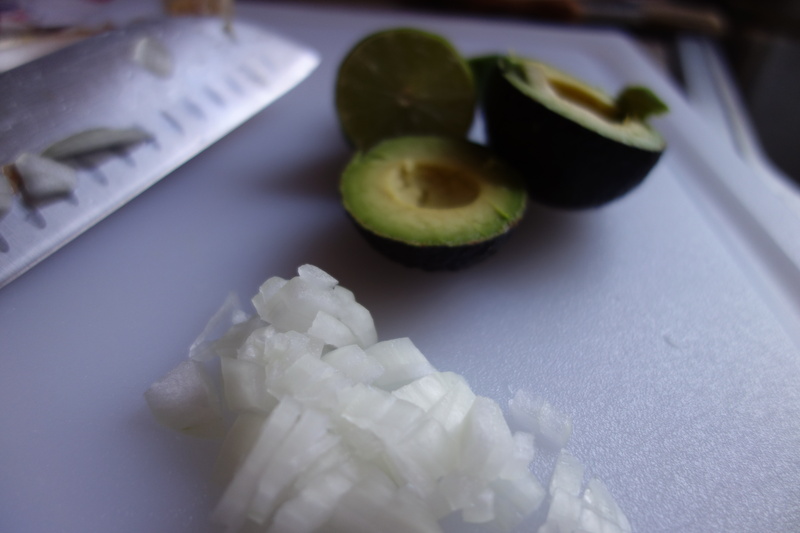 Cut the lime and avocado in half and dice the onions. After removing the seed from the avocado, I like to cut it in the skin and then put it directly onto the tacos. At this point, all of your taco fillings will be prepared. Heat your tortillas in a skillet on the stove for 1 minute on each side. Scoop the black beans on the tacos first. 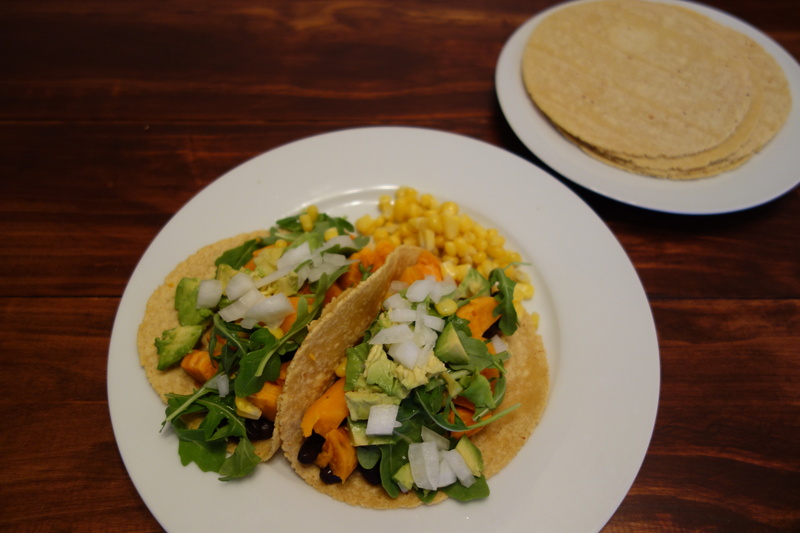 Then, scoop the sweet potatoes onto the tacos. Layer the arugula, corn, onion, and avocado. To finish it off, squeeze the lime juice over everything. The tacos are ready to serve, easy as that! Poke holes in sweet potato with fork and place on baking sheet lined with foil. Bake the sweet potato for 45 minutes at 375 degrees. Cook corn and black beans according to directions. Dice 1/4 of an onion. Cut avocado and lime in half. Heat tortillas in skillet for 1 minute on each side. Put black beans on tortilla. 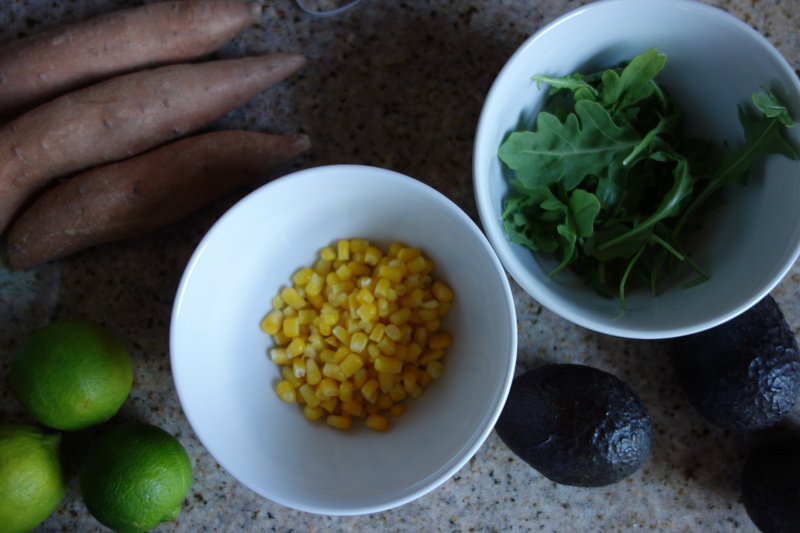 Then, layer sweet potatoes, corn, arugula, onion, and avocado. Squeeze lime over taco filling and serve hot.